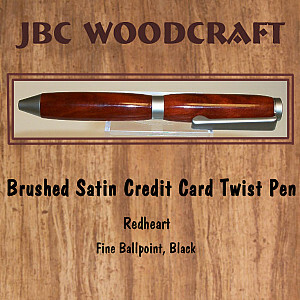 Make a statement with this one-of-kind handmade pen by JBC Woodcraft®. Crafted from natural Redheart wood and polished to a high sheen. Featuring sturdy Brushed Satin hardware with smooth "twist" pen function. Fine ballpoint, Black.